I love Lindt's petite desserts collection of chocolates based on desserts (lemon tarts, creme brulee, etc). I have concluded that what I liked most about these chocolates are the difference in texture. What I thought I could do better is to increase the different flavors. So my mind has been thinking of many different ways to have different textures and flavors (that complement chocolate). One way I thought would be interesting is to mix flavored curds into white chocolate to make a ganache and then add the curd by itself into the chocolate as well, for the different flavors. For the texture I thought shortbread cookies and nuts would be a good compliment. I found through experiments that you need a really good solid thick dry shortbread cookie. I first tried a chocolate wafer and I couldn't even tell it was in the finished project. The second time I tried ginger thins, better but still hardly any crunch. So make sure to make or buy thick shortbread cookies if you want good texture in your cups! Most of my recipes are based on trusted recipes altered to be healthier based on my nutrition research. But this recipe is 100% mine from no other source. And I am so proud of how great they turned out. 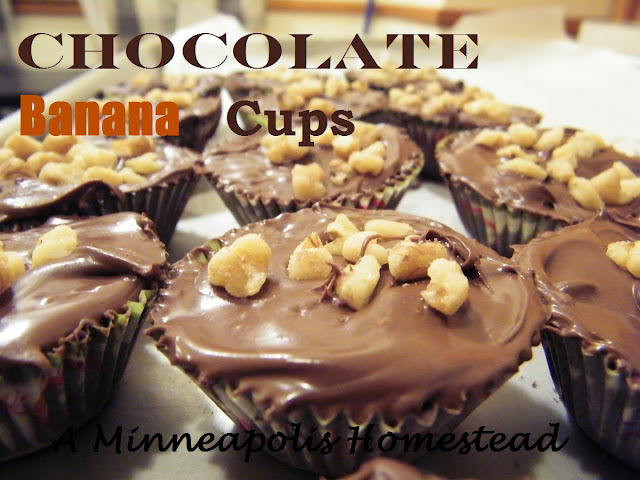 I gave my chocolate banana cups out for Christmas and I got a great response from friends and family. I hope you enjoy them as much as I do. 1. Make the white chocolate ganache: Bring 1/4 cup cream and 4 tablespoons of banana curd to a simmer in a small sauce pan, then pour over chopped white chocolate in a medium bowl. Stir well with a fork or whisk, until chocolate is smooth. Refrigerate overnight or for 4-6 hrs until set. Note if the ganache loses it's emulsion (becomes a big oiley blob) don't panic you can fix it. It happened to me and I fixed it no problem. 2. Lay out mini baking cups on a sheet lined with wax paper, and make sure you have space in your freezer to place the sheet in (optional it speeds up the setting of the chocolate). 3. Temper the dark chocolate: Place around 5 oz of the chocolate chips (or about half a bag) in the top pan of a double boiler (you can use a glass or stainless steel bowel over a sauce pan if you don't have one). Heat over hot, not boiling, water, stirring constantly, until chocolate reaches 110°for milk chocolate and 115°F for dark. Place the top pan of the double boiler on a towel. Cool to 95°–100°f and pour enough chocolate to cover the bottom of the cup and swirl around the cup so that it reaches all sides, creating a cup. It sets quick so work quick and don't temper to much chocolate at a time. Put the sheet into the freezer to set quicker (optional) Once you are getting low on chocolate repeat the above steps until all of the cups are filled. Leave the chocolate not used in the bowl for tempering later. 4. 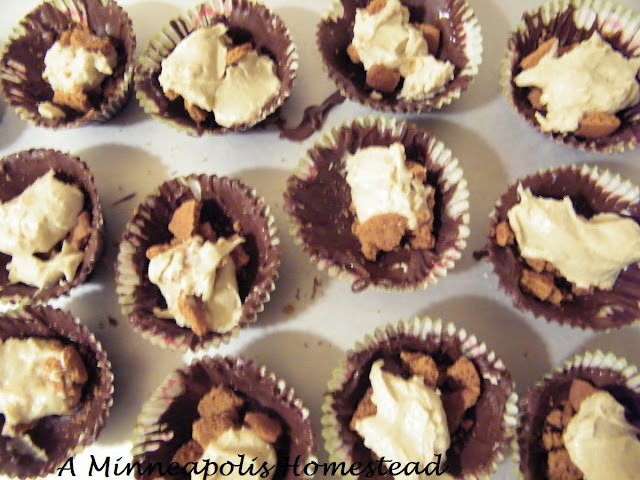 Place large chunks of crumbled shortbread cookies into the bottom of the cups. Place about 1 tsp of banana curd in the bottom of each cup on top of the shortbread cookies. 5. Scoop out the ganache with a spoon and fold in the desired walnuts and shape to fit over the banana curd and cookies and to pour chocolate over for the top. 6. Follow tempering directions (step 3 again) and pour tempered chocolate over the top and sprinkle the tops with walnuts before it sets. Place in the freezer if you want your cups to set faster. Don’t forget to “like” us on Facebook. Let’s be friends on Pinterest and we can follow each other on Twitter and Google Plus. 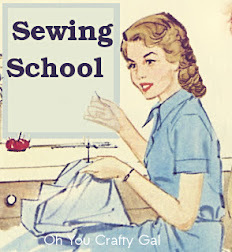 And check out my other blog OhYou Crafty Gal. This is really a great chocolate dessert recipe for many chocolate enthusiasts. 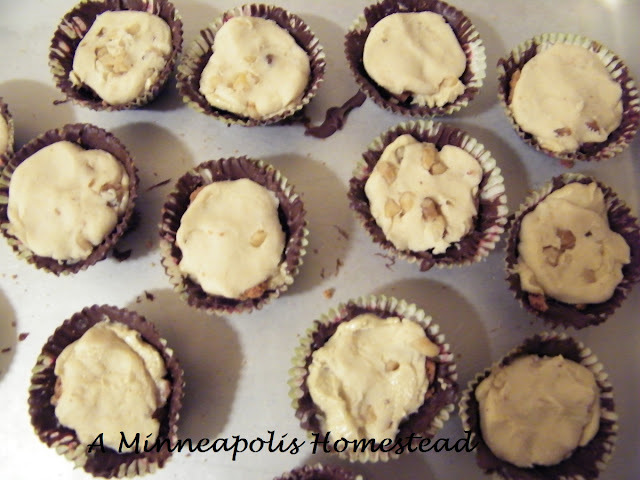 These desserts have a lovely chocolate banana flavor with a texture that is soft and moist. Thanks a lot. Thanks! I'm glad you like it! Dreaming of Concrete Blocks: Raised Beds, Planters, Tables, and Benches Oh My! I'm a vintage loving, chocoholic, cat kissing, bookwarm, foodie, who likes to garden, and make pretty things. Grow Lettuce From Stumps: Does it Work? ©Minneapolis Homestead All rights reserved Content may not be reproduced in any form. Powered by Blogger.